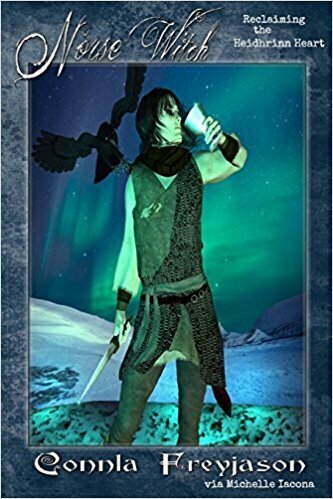 Jan interviews author Connla Freyjason about his book Norse Witch: Claiming the Heidhrinn Heart. This book is on the wave of a movement of encouraging those of the Heathen practices to embrace their relationships with the 9 Worlds in a modern context. If you are tired of hearing "you're doing it wrong" by others, this is a book that will inspire you to build on the things we can piece together from the lore and archeological finds to develop thriving relationships with the Gods, the vaettir, and the ancestors. Through active participation, we use the gnosis (experience and knowledge) we gain through those relationships to create and engage in meaningful practices today. Exit Music: Gotham Surprise by Hauk Heimdallsman. Hauk is currently on Bandcamp but you can find him on Facebook @HaukMusic. Jan has some copies his albums. email at giftsofthewyrd@gmail.com Hauk was interviewed on episode 5. Releases by Iaconagraphy Press: Blessings of Fire and Ice (June 2018), Faith Food Family (Fall 2018), Wheel of Fire and Ice (Winter 2018).